10/15/2008 - Turnover has started! Water temps currently 55 degrees. 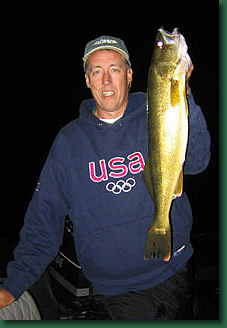 This is a great time of year to target jumbo Perch, Crappies & big Bluegills on the chain. Live bait in deap weeds will produce nice catches with persistance.